The platform economy generates considerable challenges and opportunities. It’s necessary to to distinguish truly collaborative platforms, which must be promoted and protected, from the merely extractive ones, which must be controlled and regulated. Uber is a platform that puts drivers in touch with people in need of a ride. After nine years, the company has an estimated value of 70,000 million dollars. Fairmondo is a platform that puts people offering ethical products in contact with people looking for them. In five years, it has grown into a community of more than 20,000 users and two million products. Both are examples of the platform economy but they represent two different models: Uber is a private company that maximises profit, whereas Fairmondo is a cooperative that belongs to its members, is based on open source and environment-friendly products, and maximises community building, what is known as the platform cooperativism model. This new economy, also known as the collaborative platform economy or sharing economy is used as a floating signifier for indicating interactions between distributed groups of people using digital infrastructures for exchanging (matching supply with demand) or for sharing and collaborating in the consumption and production of activities, taking advantage of capital assets, goods and labour. This economy is growing exponentially and attracting a lot of interest and has become a priority for governments all over the world. The rapid growth this type of economy is seeing is related to one of its distinctive features, its versatility. Projects for peer-to-peer production and consumption have emerged, based on collaborative initiatives, in a large variety of business sectors. The map of collaborative production initiatives (directori.p2pvalue.eu) includes at least 33 types of activity (from transport to childcare and including open design of farm machinery) and more than 1,300 specific cases in Catalonia. The platform economy has generated great expectations because it can contribute to the sustainable development of society, which involves a change of paradigm. However, another feature of collaborative production is its ambivalence. It can take the form of a social economy, making the cooperatives grow, or it can arise from the most ferocious capitalist business spirit, as I mentioned above with the cases of Fairmondo and Uber. In this second model we also have Glovo and Deliveroo, businesses whose activity is based on having a large number of potential ‘employees’, to absorb demand, but they do not treat them as such. On the contrary, they consider them ‘non-employed’, self-employed partners or independent workers. In this way they can externalise both the means of work (workers provide their own vehicles) and the risks and costs of the social welfare. This means that these businesses do not have to contribute to healthcare, unemployment insurance, accident cover or social security. There is confusion over platforms that call themselves collaborative when in fact they are not, with uncertainty and ambiguity attached to the different models. The disruptive effect of the best-known model of platform economy, that of extractive ‘unicorn’ companies like Uber and Airbnb, is causing a lot of controversy. But there are also alternative models that are truly collaborative, such as open commons, platform cooperativism and decentralised organisations based on a social economy and open knowledge, which have received little attention from politicians or research. To clarify the nature of these platforms, we need a classification system to help establish the difference between the various models that exist. This system is the democratic qualities balance of platforms, an analytical tool that helps to characterise and differentiate each organisation. By applying it we can obtain information on the organisation’s level of democracy, the implications of its design for sustainability and its performance from different viewpoints. With this system we can analyse the economic strategy, the technological base, knowledge policies and whether the platform applies criteria of social responsibility, for example in the impact of externalization. In the area of governance, it evaluates the users’ freedom over their profile and to organise with other users – that is, to create groups – and to move within the platform’s hierarchy. It also means you can identify those organisations promoting participation processes and/or involving the community in decision-making and in defining participation policies. In the area of economic strategy, it evaluates aspects such as how the project is financed, transparency mechanisms (if it has any), how the value generated is distributed among the communities, whether there is equal pay or whether workers’ rights are respected (that is, how does it operate with relation to maximisation of income, wage predictability, protection against arbitrary actions, rejection of excessive supervision in the workplace and the right to disconnect). As regards the technological basis, it is important to determine the type of ownership and the type of software the platform uses, whether it is free or proprietary, and whether the model of technological architecture is centralised or decentralised. Knowledge policies also make it possible to say whether a platform is truly collaborative or not. In this case, we look at the type of ownership license established for the contents and the management of the data generated, whether it offers the possibility of downloading data, how this is done and in what formats, whether privacy and personal data protection are guaranteed and whether measures are planned for the prevention of data abuse, harvesting or exchange without consent. Finally, social responsibilities policies are evaluated – ie how the platform manages possible negative impacts, such as exclusion for economic, social or gender reasons. The tool also measures environmental impact and contributions to the preservation of civil rights and coexistence, whether it foments and respects the general interest of the city, public spaces and basic human rights, such as access to housing, for example. In short, the platform economy is collaborative in so far as it favours peer-to-peer relations (unlike the traditionally hierarchical power structure, absence of sociability in contractual relations and purely mercantile exchange) and distributes value and governance among the community of peers. It is collaborative when profitability is not its main driving force, when it carries out its activity on a public infrastructure aware of the importance of privacy and generates generally open access to commons resources that favour accessibility, reproducibility and derivativeness, and finally it is collaborative when it cares about the externalities generated and about favouring the inclusion and reduction of the environmental impact. 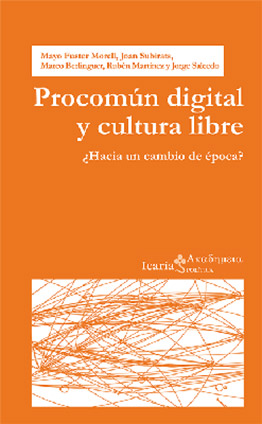 Originally, collaborative practices via digital platforms were non-profit initiatives based on open models centring on open knowledge and participative governance, like Wikipedia, Couchsurfing (hospitality service), Goteo (crowdfunding) and Freecycle (recycling). Later, the Silicon Valley digital industry promoted a corporative shift towards the ‘unicorn’ model, consisting in gradually building up a large company charging a fraction of the price for the shared service, as in the case of Uber (shared car trips), Airbnb (short rentals) and Blablacar (car rides). More recently, and as a reaction to the change in Silicon Valley, a platform cooperativism has also emerged based on small and medium businesses and on cooperatives belonging to the platform users, as in the case of Fairmondo (online marketplace). Barcelona has a lot to offer in this respect, both in innovation in public policies and in the rich ecosystem of commons and platform cooperativism models it has. Let’s look at three examples. Katuma is an agro-food product consumer platform based on the commons values of the collaborative economy. 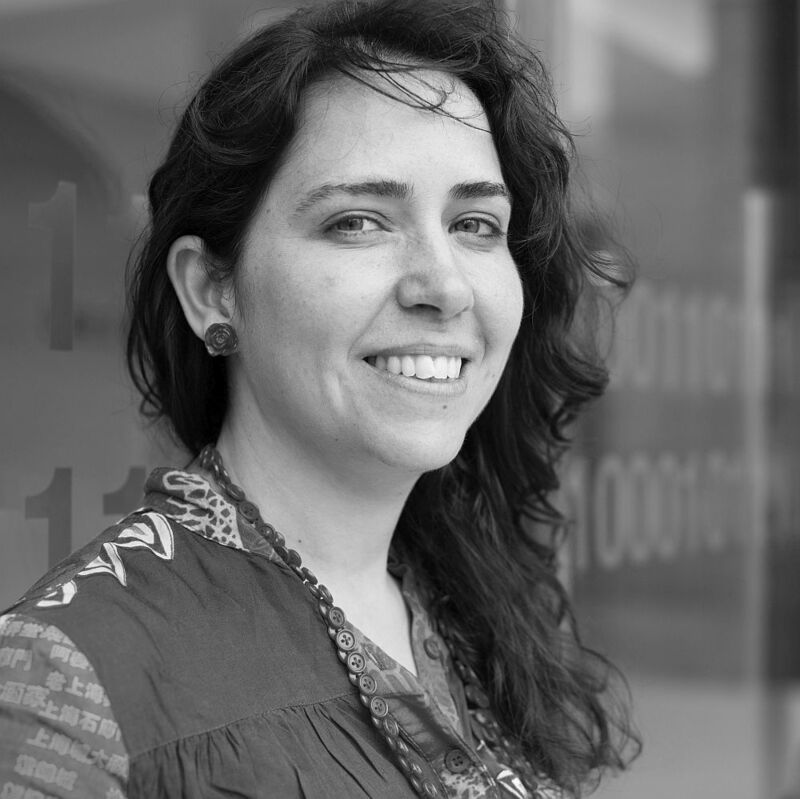 The project began in 2017 and was developed by Coopdevs, a non-profit association centred on free and open software to promote social and solidarity economy projects. It is foreseen that this platform will be governed cooperatively by the members. The intention is to finance the platform with membership fees (economic model). The platform is being developed using open source software (technology policy). The contents are under a Creative Commons (BY NC) license (knowledge policy). The project focuses on connecting producers and consumers in conditions of social justice (social responsibility). Nowadays, computers are only recycled, not reused. eReuse is developing open data and open source tools and services to reduce the cost of renewing and reusing computers. It was set up in 2015 by Pangea, an independent non-profit association, with 15 community organisations. eReuse launched a tool for tracing the origin of the material reused and seeing if it is recycled at the end of its useful life. The process for participating in decision-making is based on local sovereignty and the global federation (governance). The possibility of an agreement with Abacus in 2017 means that the project has taken on a new dimension with the introduction of cooperative automatic learning on the recycling circuit. As regards the technology policy, eReuse is based on decentralised open source software. The knowledge policy chosen is the open data one. And the project is based on reuse to reduce the impact of unnecessary production. SMartBE is an abbreviation of the French ‘Societé Mutuelle pour Artistes’. It was set up in Belgium in 1994 and currently has 200,000 members who are self-employed in the cultural sector and who mutualise their services via a digital platform. Smart Ibérica (its Spanish equivalent) began operating in Spain in May 2013. 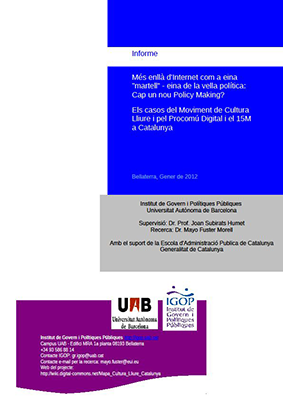 The project has grown well, with 3,000 members in Spain and 800 in Catalonia. Governance functions with voluntary open participation. Each member pays an initial capital contribution of 150 € and a services commission of 7.5 %. There is no technological platform running yet. The knowledge generated is not open. In the area of social responsibility, the project promotes cultural and artistic activity. The platform economy is developing in a legal vacuum. The current regulations are not well suited to the model and large companies spend millions lobbying public institutions to introduce changes in the rules in their favour. Supranational and national governments have central competencies for its regulation, but the platform economy focuses its activities and impact on cities, something that generates considerable challenges and opportunities. Furthermore, collaborative practices are generating enormous potential and an opportunity for public innovation – a collaborative policy for a collaborative economy – which is not being exploited. 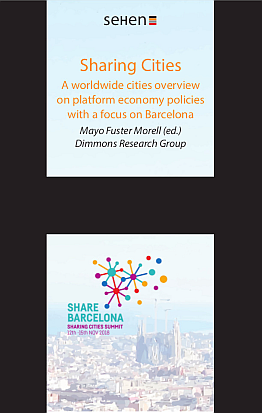 With the aim of making the voice of cities heard in the political debate on the platform economy, 50 cities met in November 2018 in Barcelona. The event gathered mayors and deputy mayors from the main cities of every continent and actors in the sharing ecosystem to debate on the impact that the continuous growth of sharing economies are having on the life and the economic development of cities. The summit focused on defining a ‘Declaration of principles and commitments for a Sharing City’ and favouring specific collaboration between cities to defend the sovereignty of the city in face of large businesses, and promote the scalability and internationalisation of those models aligned with the general interest of cities. The platform economy constitutes a change of paradigm, but making sure this change works positively means taking on the challenges of aggressive models and taking advantage of the opportunities of collaborative models that respect cities for the scalability of a democratic economic model. The Barcelona Declaration is an important step in this sense.